A spark of divine inspiration? A phoenix-flame inside drops of rain? 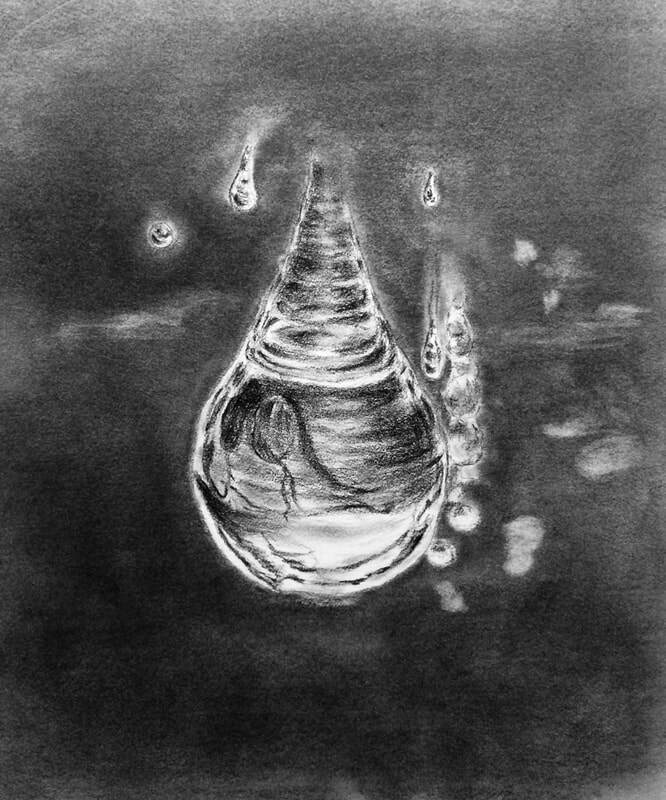 Each drop holds a pear-shaped flame. Paradrops fall to form fluent silk screens. to gift another poet your breath? You are more than blood – birth in a bowl. Pears fall from the sky. Did you choose your parents? to subjugate women and nature to the will of men? Fire and water marry their differences. a garden enlivened by diversity and friendship? Rain and song leaf out. with a question all the reasons that oppress life? When did we try to kill you? And in killing you, kill ourselves? ​the rough ruby pit of you. And what do you say to the five hundred millions of stars? and seventy million new cells are born? That we perpetually evolve so best not judge?